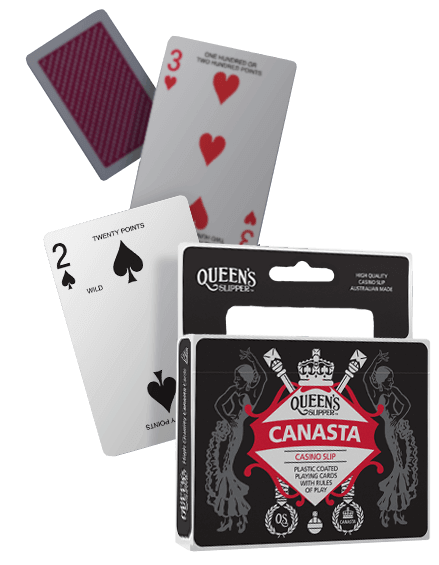 The Queen’s Slipper brand is synonymous with playing cards. 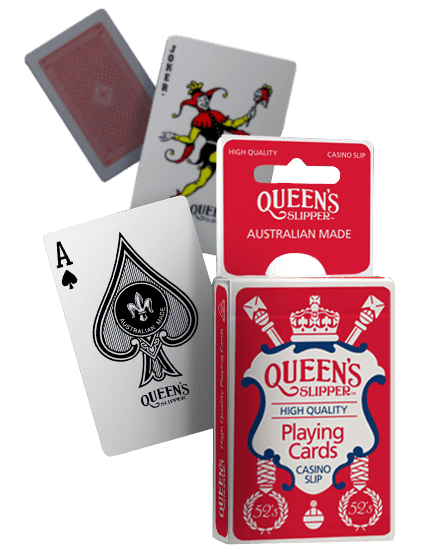 The brand has become an Australian family entertainment tradition for almost 100 years and is famous for its high quality, distinctively Australian range of casino slip playing cards. Premium Queen’s Slipper playing cards are renowned for their traditional look and feel, allowing users to push the limits of dexterity all in the interests of fun with family and friends! The Queen’s Slipper brand was developed by Tom Johnson Hudson in 1919. Tom teamed up with a tradesman printer by the name of Hogan and formed a printing company in Carlton, Melbourne called H&H Printing Company Pty Ltd. In the 1930s their partnership dissolved and Tom registered the name of Hudson Industries Pty Ltd, operating in the old Fire Brigade Building on Rathdowne Street. In 1936, Tom’s son Philip Martin Hudson joined the company and together they created the best manufacturing plant for Playing Cards in Australia. Queen’s Slipper Cards continue to be manufactured here in Australia, continuing a century old tradition of product excellence. © Copyright 2019 Australian Paper. All Rights are Reserved.